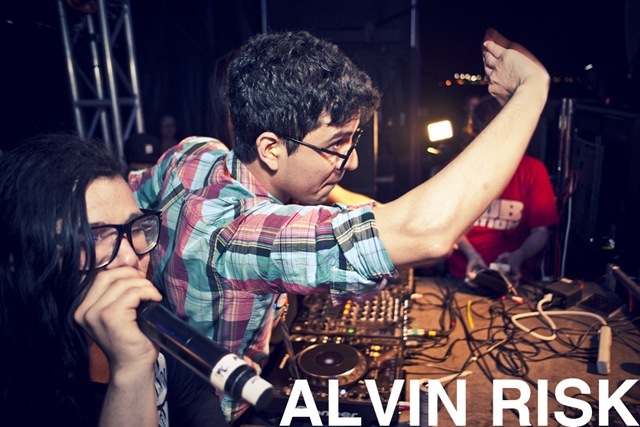 Marcio Alvarado is better known to adoring fans, as Alvin Risk. Alvin hasn’t restricted himself to any particular genre of music. Alvin is an electronic music producer, singer and DJ. It seems as if the talent is in the genes, because he is the brother of well known Painted Face, singer and producer Allie Alvarado! Risk is known for dabbling in bass powered dance music and he shot to fame with what is considered to be one of the most unique sounds in this particular genre. He has incorporated and mixed countless bass styles including dubstep, electro, trap and more to create something that is aptly named as Junk Food. The song “Put Em Up” is being used by artists like Skrillex, Kill the Noise, 12th Planet and the whole OWSLA crew all over the world. He has a solid resume of remixes for Matt & Kim, Ali Love, Example, Skylar Grey, and Jamaica. Are we safe from ourselves? Alvin’s special track ‘Safe’ was touted to be a song with an assortment of themes like chipmunk voices and broken hearts. The song, from the pseudonymous producer and singer, is at first svelte and impressionistic, but takes a straightforward lyrical turn and a discomfiting musical one. Of course, this is deliberately done to invoke the emotion of loss in your heart. Risk’s goal was to emphasize the fact that when we decide to open the door to someone and get to know them, it is already too late, and in reality we don’t’ know anybody. His quote basically states you are left with “nothing but a hole in your heart”. He has a strong opinion about infidelity. Risk feels that the moment you start trusting someone; you give them the power to take advantage of you, and consequently, to hurt you. The song wants you to imagine yourself in the role of tormentor and not the victim – it is about the wrong you did rather than the deeds of others. The dark tone is inspired by David Fincher movies. However, you don’t have to be melancholic – Safe is conceptualized purely from a lyrical perspective. Find Live Events Near You, TODAY!